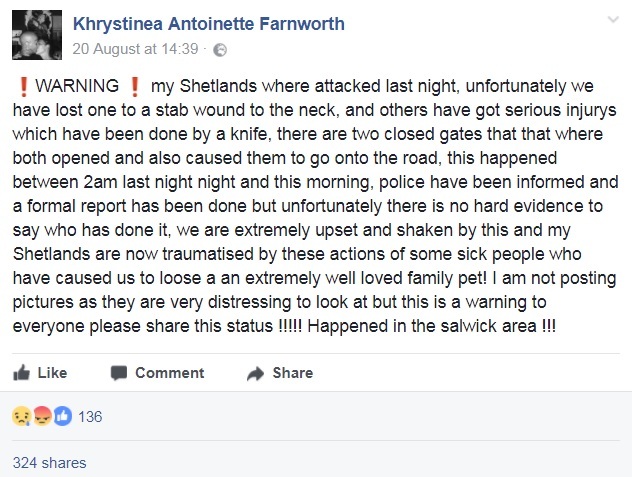 A young farmer has been left ’extremely upset and shaken’ after her Shetland ponies were stabbed and slashed in a ’deliberate attack’. Khrystinea Farnworth, 24, found seven-year-old Lucas dead with stab wounds to his neck. 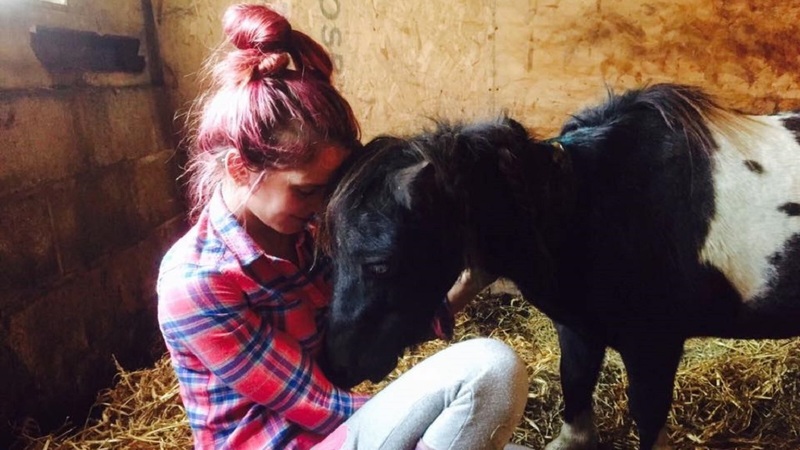 Lucas’ mother Matilda had come to his rescue during the attack, at Vine House Farm in Lancashire, and also suffered gashes and stab wounds to her neck and body. A police investigation has now been launched after the attack in the early hours of Sunday, August 20. Khrystinea lives and works on a small beef, sheep and pig farm and has rescued a mixture of 32 horses and ponies. She said: "I just don’t understand the mentality of it. I really, really don’t, at all. None of us can process it at all. "These horses are rescues, you know, they’ve come to us for a better life and for someone to physically go and attack them like that, it’s sick, it’s completely and utterly sick. "For them to be able to sustain the injuries that they did, on Lucas, they would have had to held him and there is now way they could have done so many, one after the other, horses are flight animals, they run." 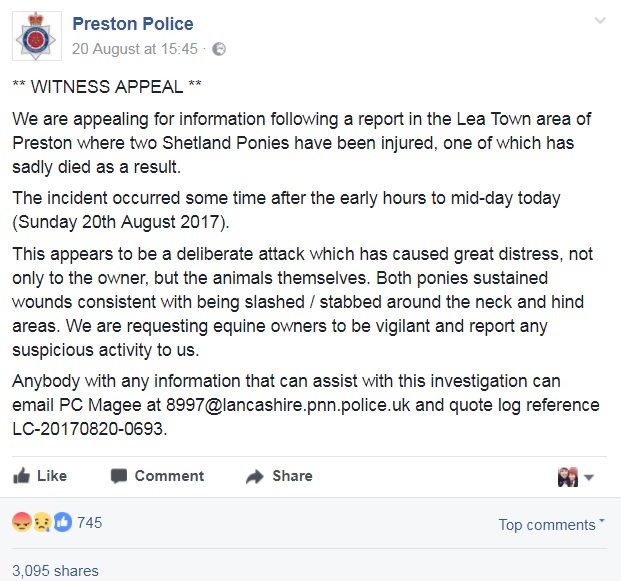 A Preston Police spokesman said: "We are appealing for information following a report in the Lea Town area of Preston where two Shetland ponies have been injured, one of which has sadly died as a result. "This appears to be a deliberate attack which has caused great distress, not only to the owner, but the animals themselves. Both ponies sustained wounds consistent with being slashed/stabbed around the neck and hind areas. "We are requesting equine owners to be vigilant and report any suspicious activity to us." Khrystinea continued: "My Shetlands come to me to live their days out as happy as Larry. A crowdfunding page has been set up to help cover the cost of vet bills after the attack. Anyone with information can contact PC Magee at 8997@lancashire.pnn.police.uk and quote log reference LC-20170820-0693.